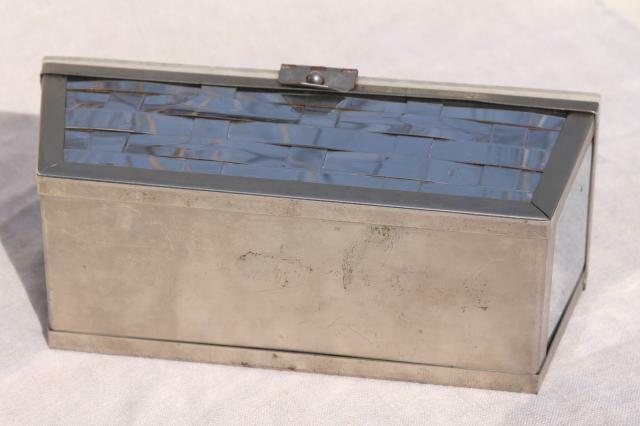 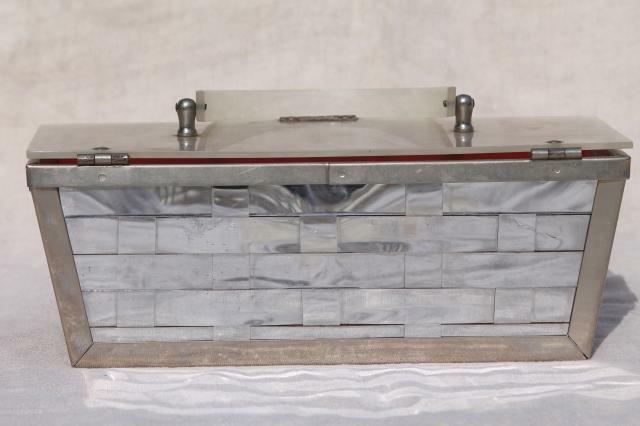 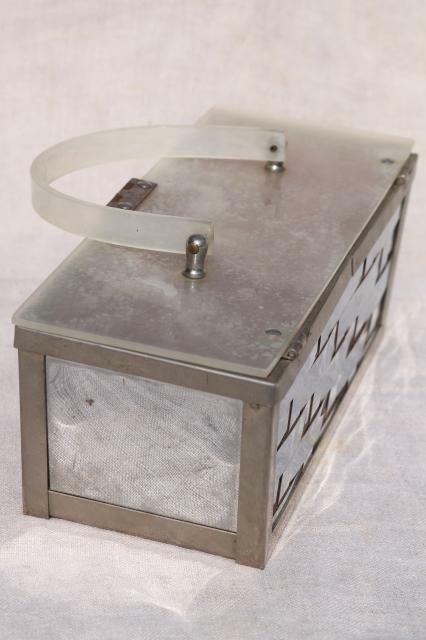 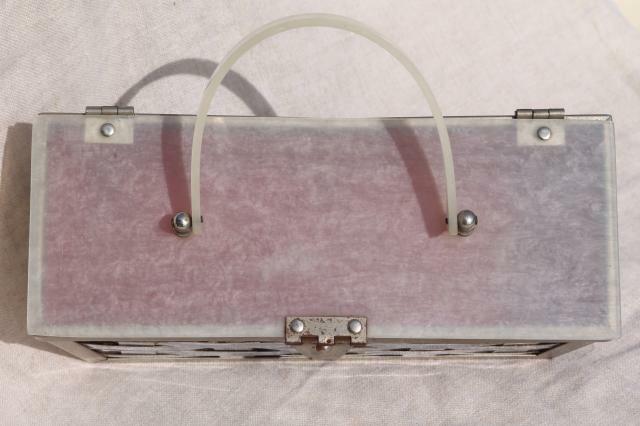 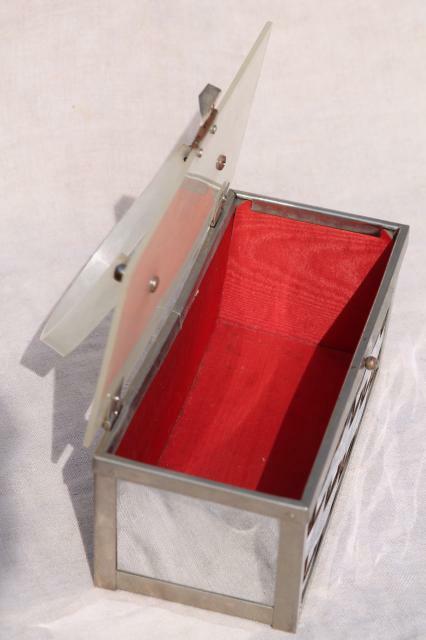 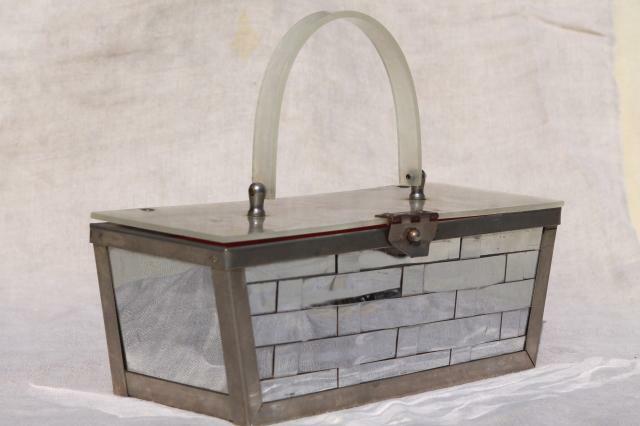 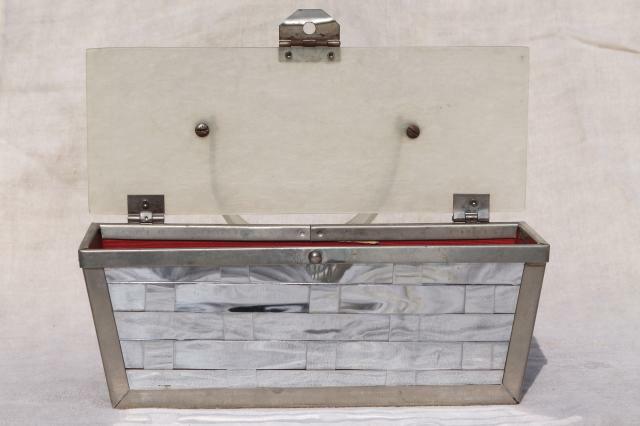 Mid-century vintage box bag purse, a 'basket' with chrome plated mirror silvery finish, and lucite plastic handle and lid. 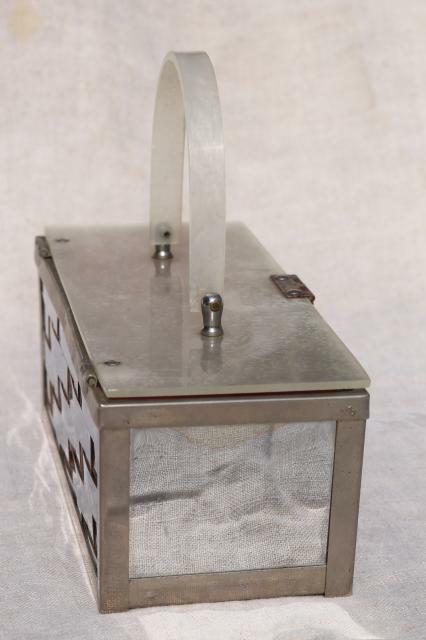 This measures about 9" x 3 1/2" x 3 1/2" with the handle above that. 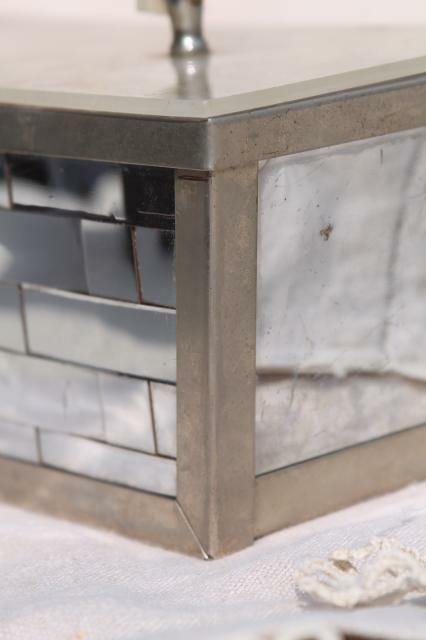 We can't find a makers mark on this piece at all. 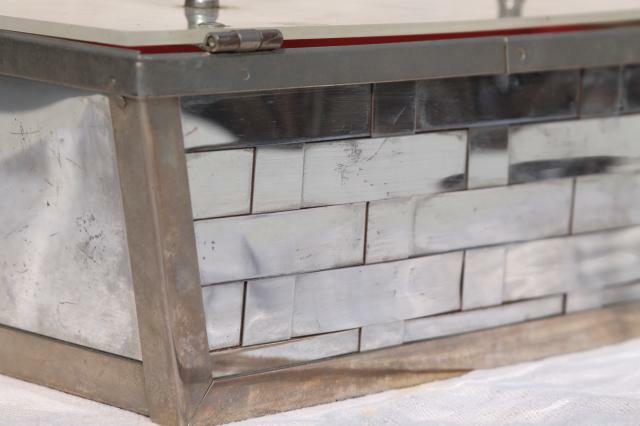 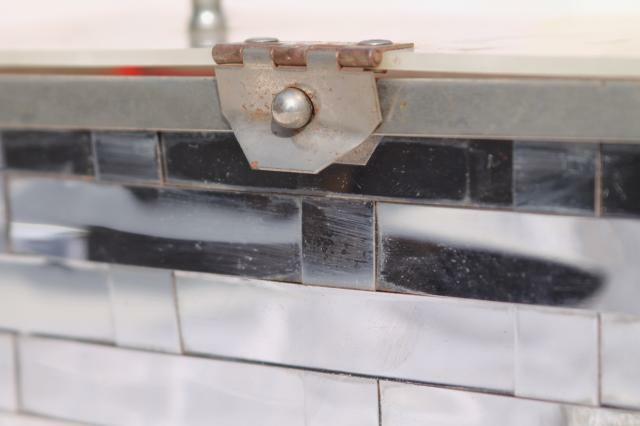 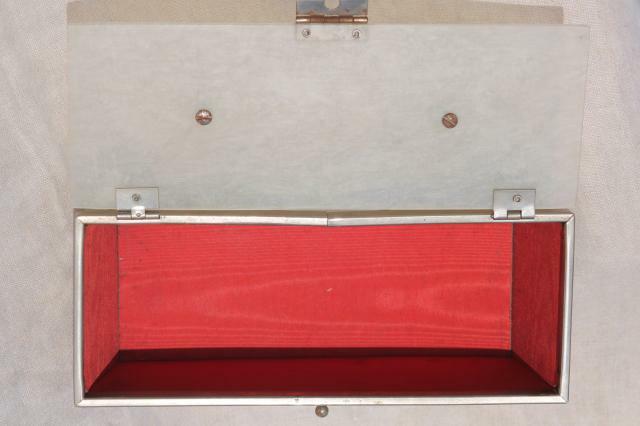 It's been used, and shows some spots to the plastic and rust spots to the chrome plating. 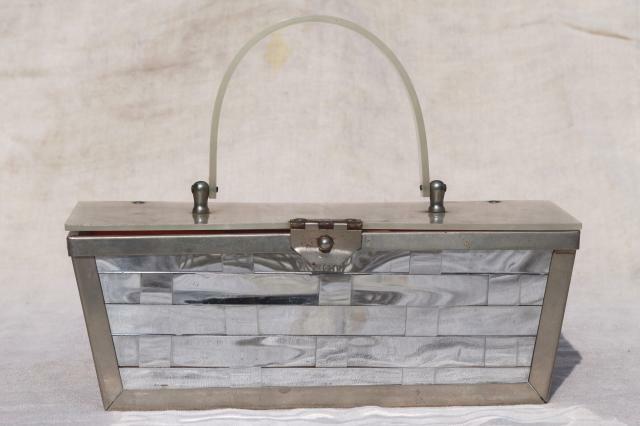 But it has agreat art deco look, and we've never seen a chrome plated handbag before!